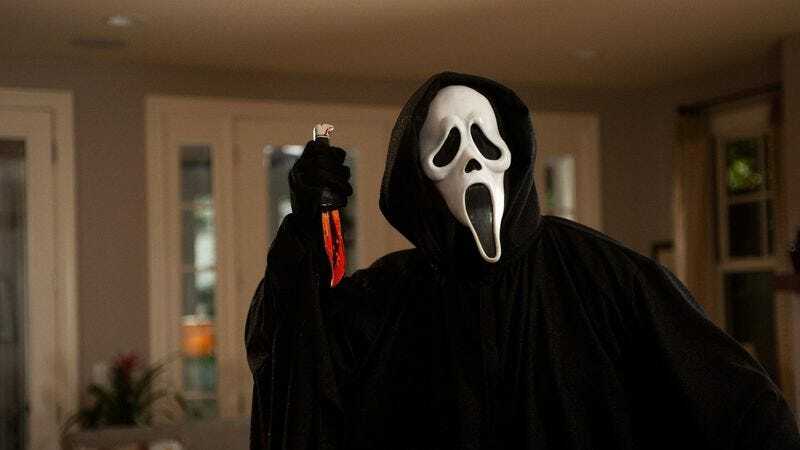 The man who owns the rights to Ghost Face, the iconic mask worn by villains in the Scream film series, says that the character is not set to appear in MTV’s upcoming television adaptation of the franchise. In a conversation with Ghostface.co.uk (Does your Halloween mask have its own website? ), rights-holder R.J. Torbert said that the Weinstein Company has told him that, “as of now and during the initial launch, Ghost Face is not involved in the new format.” You might wonder if this means that the Scream TV show will take a more thoughtful approach, perhaps considering the metaphorical murder of the American teenager by way of the media placing unrealistic expectations on young people. Maybe, but they’ll also be stabbed, according to previous reports of a YouTube-inspired murder. And according to Dread Central, Torbert said that this doesn’t mean Ghost Face won’t be involved at some later date. Well, hurry it up; the guy isn’t getting any other work.